Ok, this isn't indie makeup, but let's take a quick break for today and talk about some brushes. I did not find out about Zoeva brushes on my own, my friend over at Pigmented Lips actually told me about them many months ago. So what stopped me from ordering before now? Are they insanely expensive? No. Do they look like bad quality? No. So what was it?! It's the fact that this company is based in Germany and shipping is $18. I didn't want to get a huge order since I wasn't familiar with the quality of the brushes, so a few Reddit friends and I decided to do a large order all together to help minimize shipping costs. After sitting in customs (thanks DHL!) for what seemed like an interminable amount of time, they finally arrived to our "mule" who then turned around and shipped them to us. I got five brushes total; a buffer, a luxe highlight, an eye blender, a luxe crease blender, and a brow line brush. First and foremost, every brush comes in its own little zip slide bag which is made of plastic. The backside has the name and number of the brush in case you want to continue to store your brushes in their little homes. 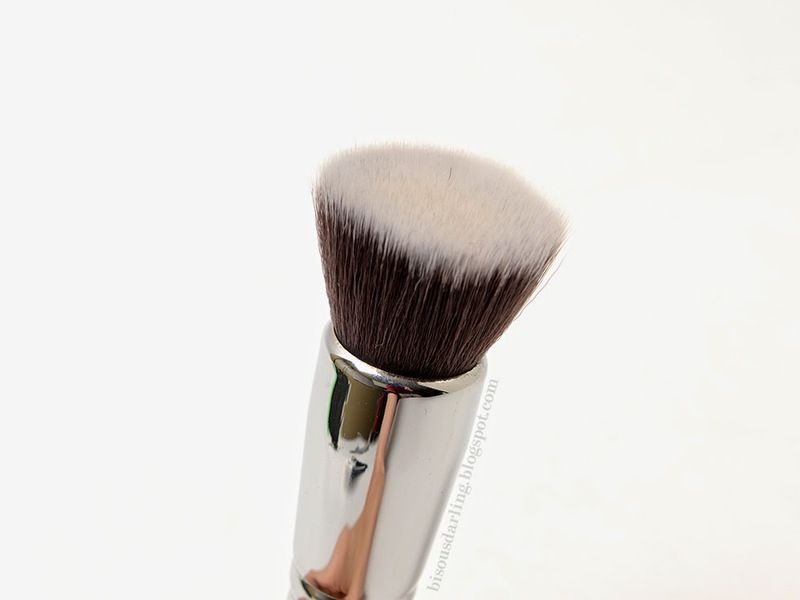 #104 Buffer: This brush is pretty much like a million other brushes out on the market, but believe it or not, I did not own one that was this exact shape. I have a buffer from Coastal Scents that is a bit longer and some from Sonia Kashuk that are much shorter, but none this is exact size and height. I'd be lying to you if I didn't say that I bought this because it looked really similar to the Sigma F80. I absolutely adore this brush and it was the first one the I busted out to use. I've used it with liquid and with mineral foundation and it works amazingly for both types of foundation. The bristles are dense, but not so dense that it makes the brush impossible to clean (I'm looking at you Real Techniques Expert Face Brush). 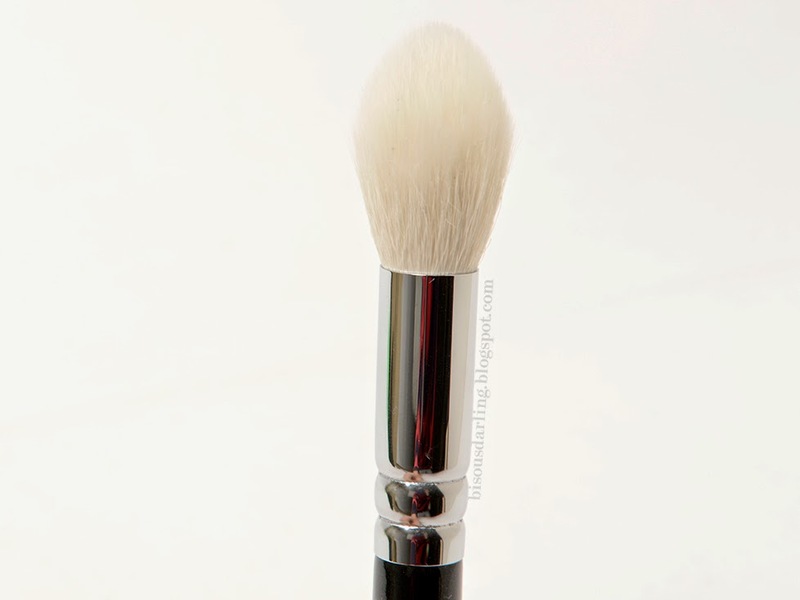 It distributes foundation evenly on the face and the length of the bristles are perfect for a nice, even finish. I can see myself ordering another one of these as a backup when I'm too lazy to wash my brushes. This brush is synthetic. 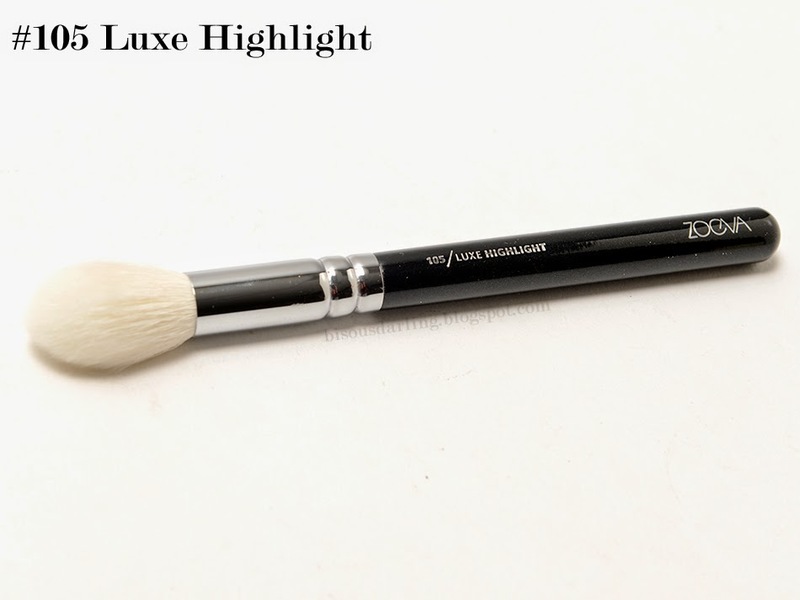 #105 Luxe Highlight Brush: Another brush that I bought because it looked similar to something else! 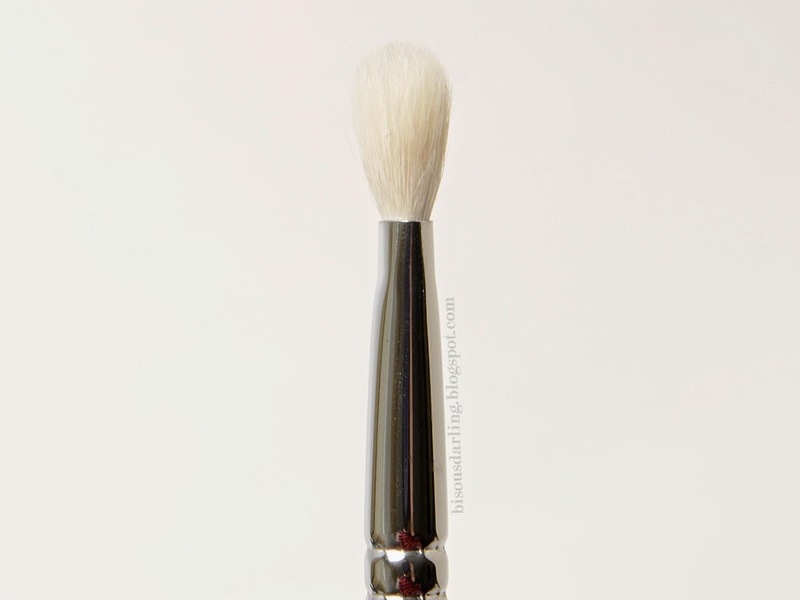 If you saw my LA Haul post, then you would have seen a Hakuhodo brush that I bought that looks extremely similar to this; the B5521. So... seeing as how the Zoeva brush was only $13 and the Hakuhodo was $34, I thought that I would try this one out. The Zoeva is almost the exact same size as the Hakuhodo, which I was pleasantly surprised with since it's honestly the best size highlighting brush for my face. The #105 is a great brush, but it isn't as good as my Hakuhodo. The reason that it is similar but not as good is due to one major thing; the type of hair used to create the brush. 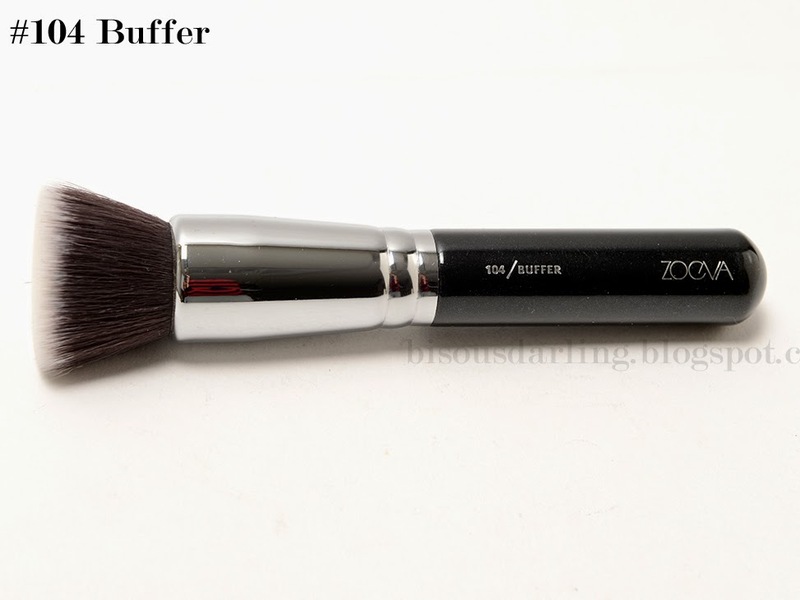 Zoeva says that their brush is a blend of natural and synthetic hair, but doesn't specify the type of hair. If I had to guess what it is, I would say that it's most likely goat. The brush just feels a bit too dense to me and that's the only thing that bothers me. Since it's meant to be a highlighting brush, I feel like it needs to be a bit lighter and fluffier to distribute a more diffused higlight. That's my preference however and you readers might prefer a more dense brush! Regardless of that incredibly long side mention, the brush is still awesome and if you don't have $34 to drop on a single brush, this would make a good, affordable replacement. 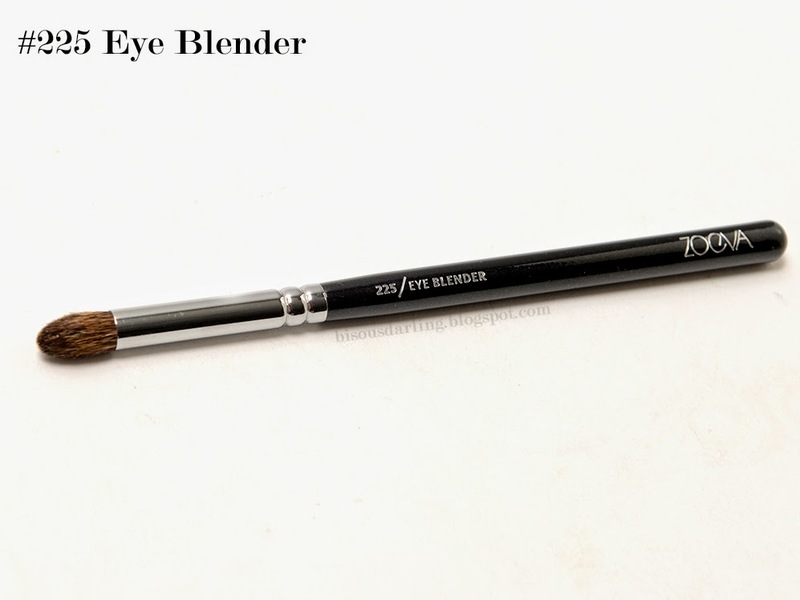 #225 Eye Blender: This was a brush that I was really on the fence about getting, but that I'm ultimately really happy to I decided to pick up. I have some sort of weird aversion to anything that is even remotely shaped like a pencil brush because I have a MAC pencil brush that is horrible and scratchy and scarred me forever. Also, the fact that this brush is brown and makes me think of pony hair just brings back bad memories of scratchy brushes. The bristles on this are actually squirrel, but it still surprised me by how soft it was. It's not soft in the sense that it feels like you're rubbing stuffed animals on your face, but it's definitely soft for being a tightly packed, dense brush. This guy holds his shape, but also allows for really great blending in the outer corner of the eye socket. I haven't used it under the eye yet, but I think that it will also work perfectly for create a smoked out effect! When I place another order, I will most likely get another one of these. 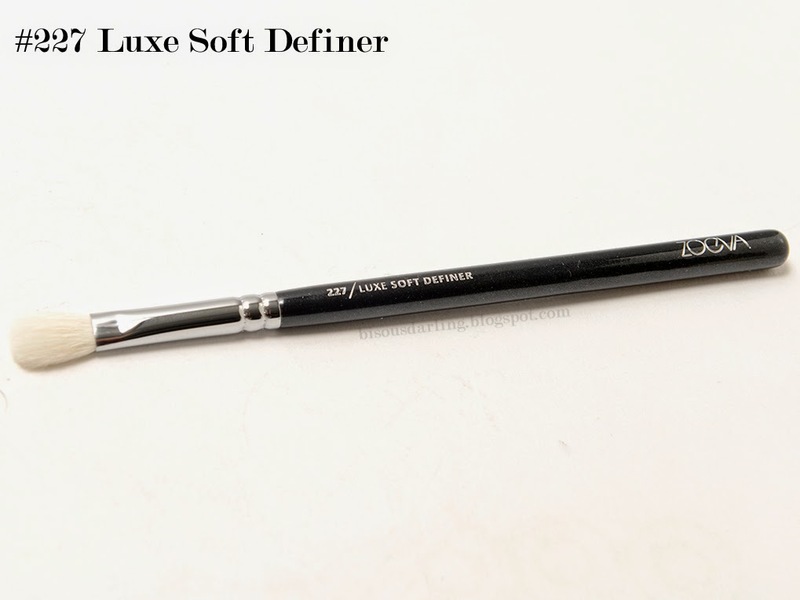 #227 Luxe Soft Definer: I have to laugh a little bit since I think that this is the fourth brush that I've shown you guys that looks like this. 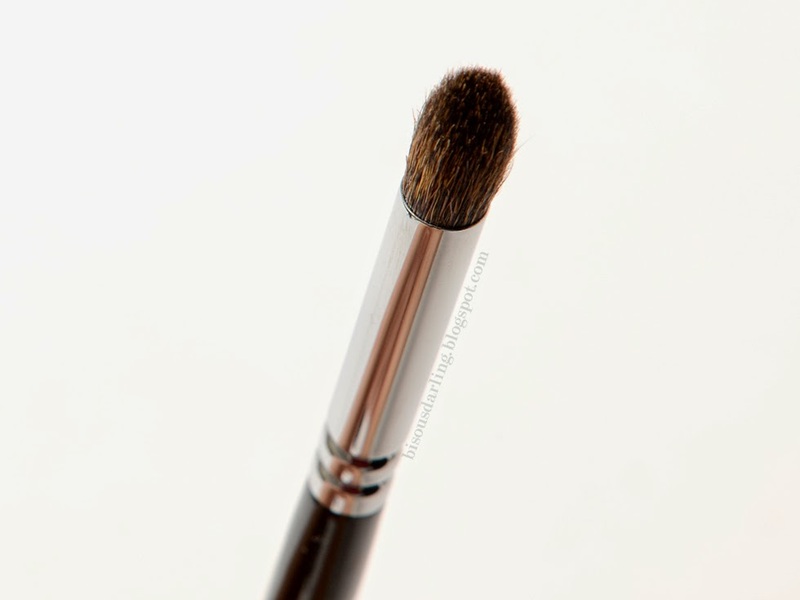 I'm pretty sure my first review on one of these brushes was a Sigma E25, then the Coastal Scents Pro Fluff brush, and then the Hakuhodo J5523. Well, guess what, here's another white, fluffy, all over, jack of all trades kind of brush. I'm just obsessed with these kinds of brushes and I love comparing them to one another. I don't own a MAC 217, mostly because I kind of refuse to buy any brushes from MAC (it's a weird thing, don't even ask), so I can't compare this to that. 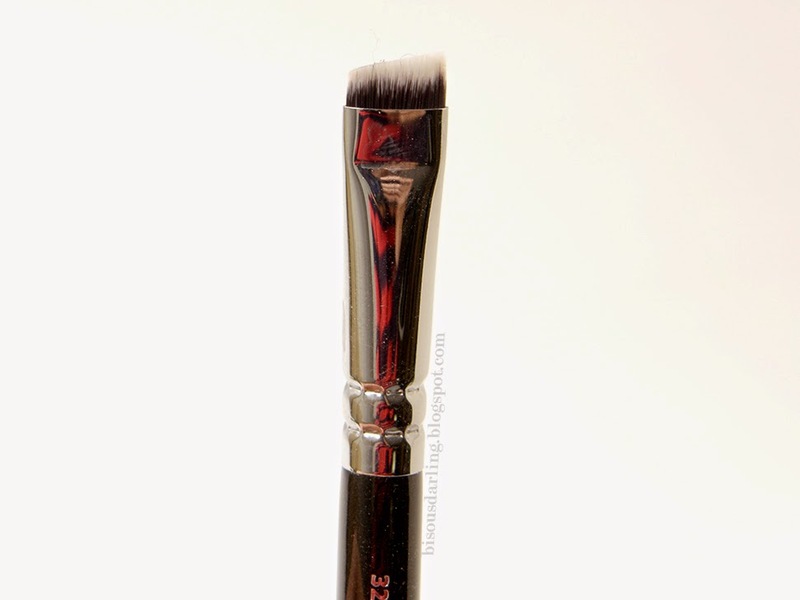 I can, however, compare this to the other brushes that I own and I can say that it definitely falls right below the Hakuhodo J5523. 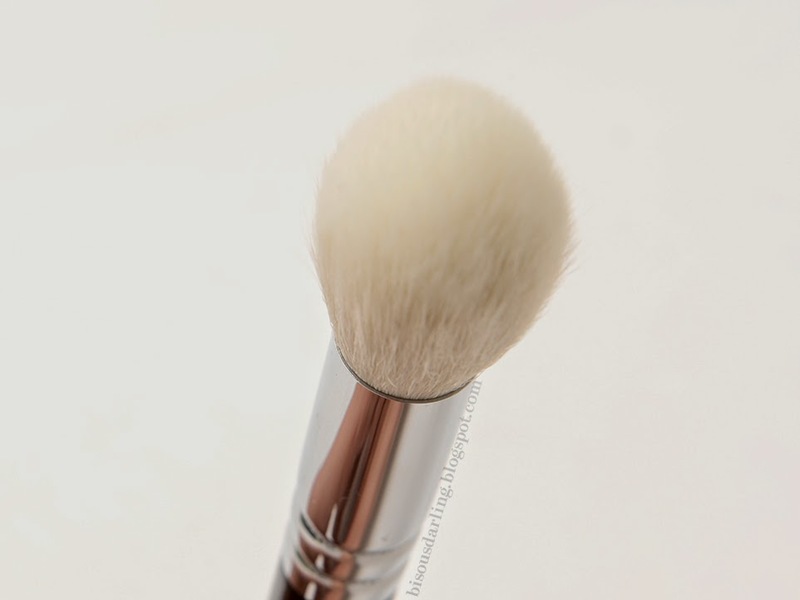 The Zoeva brush was a bit odd feeling when I first got it, but after a wash, it was luxuriously soft and wonderful. Both the Hakuhodo and the Zoeva are made of goat hair and honestly, I think that the only difference between the two is probably how they're made; the Hakuhodo being hand made and the Zoeva... presumably machine made. It blends and applies shadows like a dream, so this will definitely be purchased again (and again and again?). 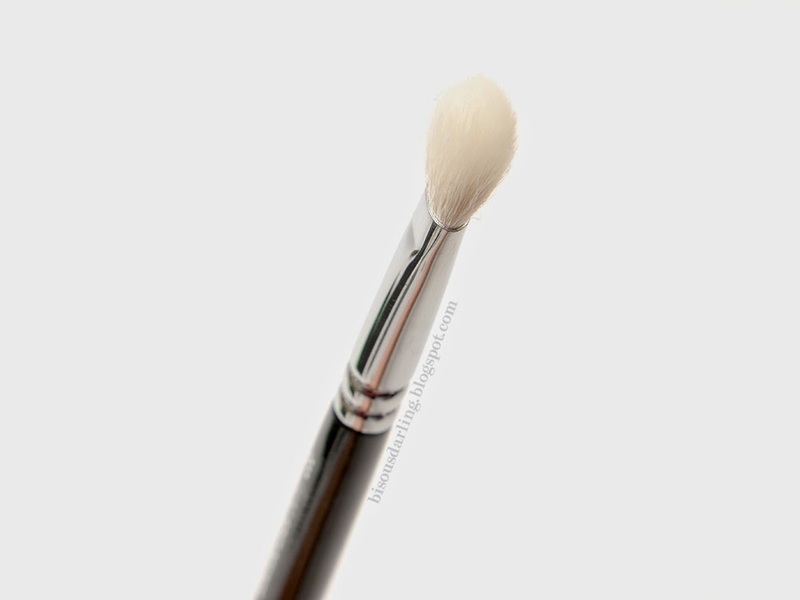 #322 Brow Line Brush: I think my reasoning behind this brush is seriously flawed, but it happened to work out perfectly for me, so I'll tell you what it was. I bought Anastasia Dip Brow a while back, used it once, and then never used it again. I really hated how it applied with an angled liner brush and even though I knew there had to be a better way to apply it, I just didn't want to look for it. Well, along came this brush and I knew as soon as I saw it that I needed to have it. 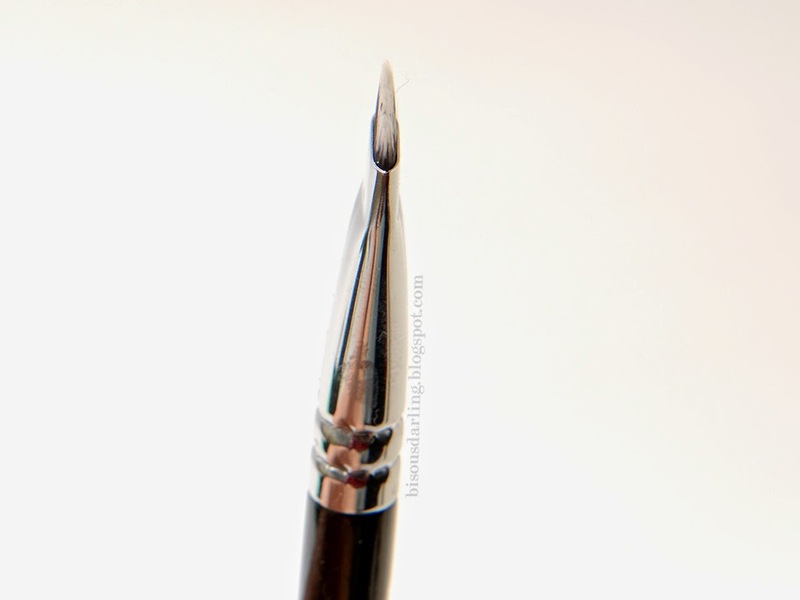 It may just look like an angled liner brush, but it's broader, shorter, and better packed than any liner brush I own. 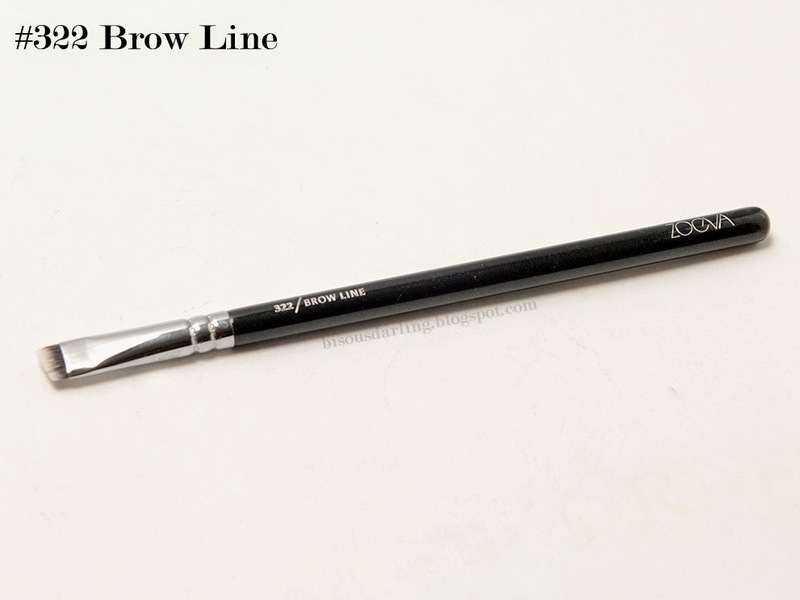 Honestly, I think that this brush is probably the best thing out there for Dip Brow since you can literally line the length of your eyebrow and drag the color down into the brow all in a simple flick of the wrist. I am in love with this brush. I want to marry it. It's so simple and easy that I don't understand why they're aren't a whole lot more that look like this. This brush is synthetic. 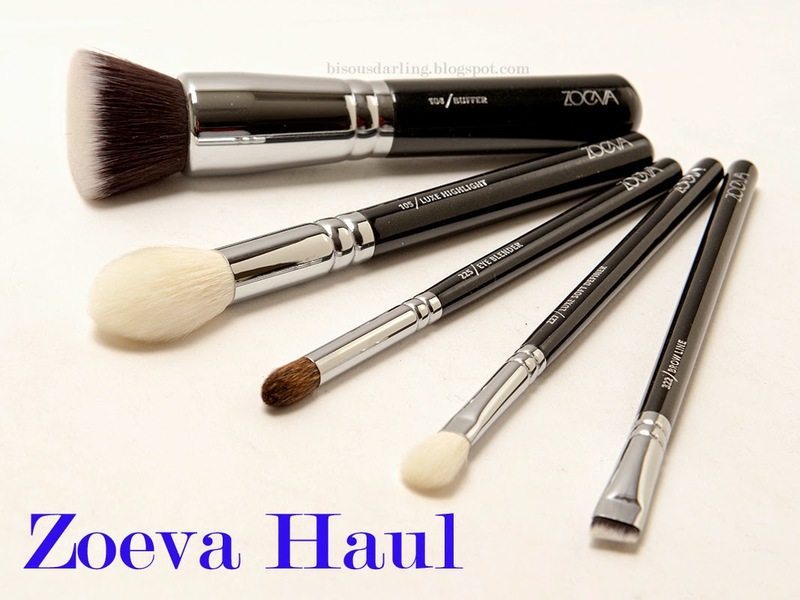 I don't know if I just lucked out with the brushes that I ordered, but I'm going to say that Zoeva is stepping up in the world of affordable makeup brushes. The quality of these brushes is great and they all retained their shape and softness even after washing. Everything works exactly as it should and even though that highlighting brush is a little dense, I'd definitely still recommend it to people. 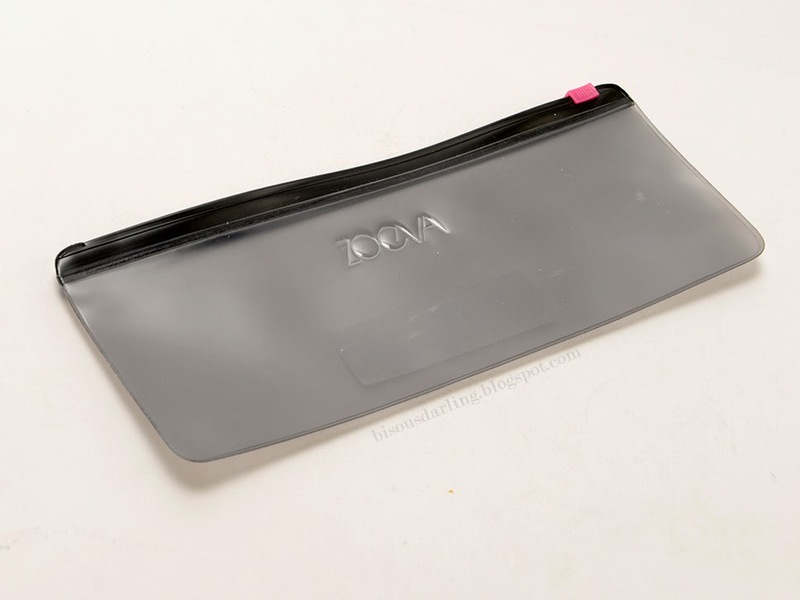 I've already started planning my next purchase from Zoeva and I think that you should be too. Oh my gosh, I have been looking for a brush just like the brow line brush... these look terrific, especially for the cost! I really need to pick that brow brush up now!